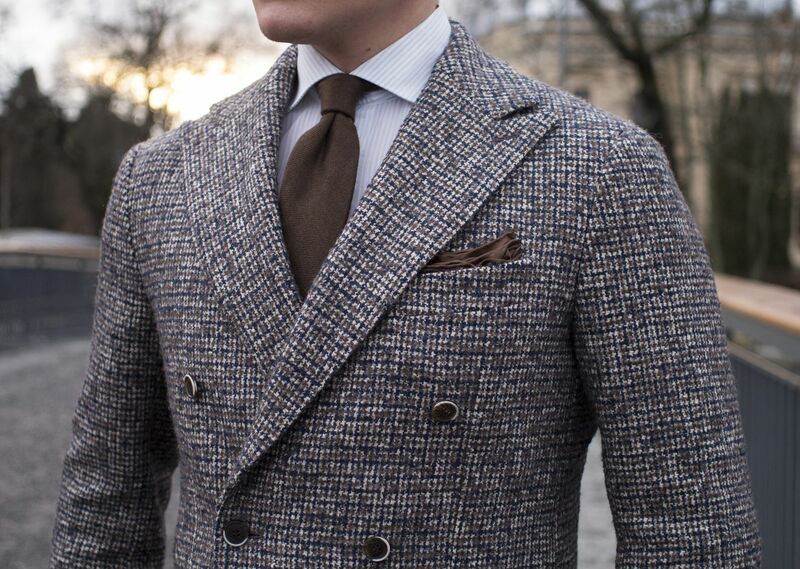 There's nothing like a proper statement jacket that you can use to set the tone for the entire day. I think I'm safe to say my Soho fit jacket from SuitSupply in its heavy houndstooth pattern tweed is a jacket like this. These kind of bold textures do require some thinking though, and often require other parts of your outfit to be plain-colored. 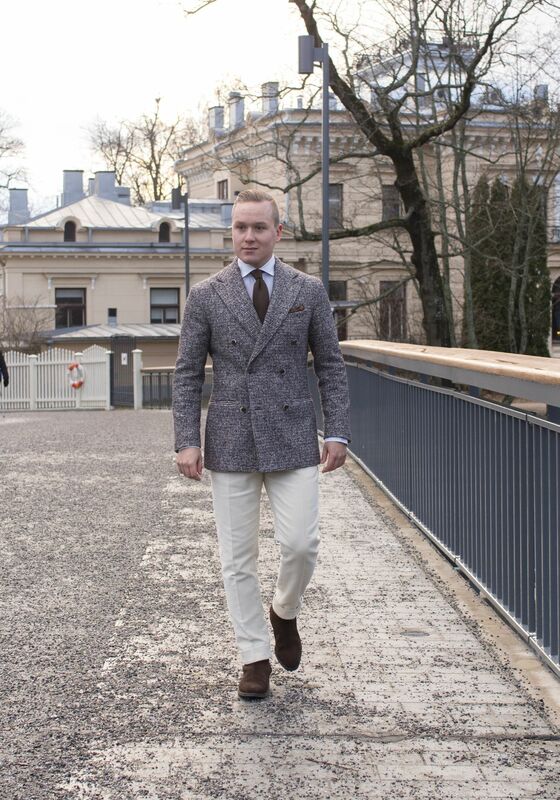 The jacket is a Soho fit jacket from SuitSupply, shirt from SuitSupply, 7-fold cashmere tie from Brioni, pocket square from Richard Talbott, Jort trousers from SuitSupply and Jodhpur boots from Septieme Largeur. Brown is a wonderful color when not used in excess. As a side note, I love this picture. 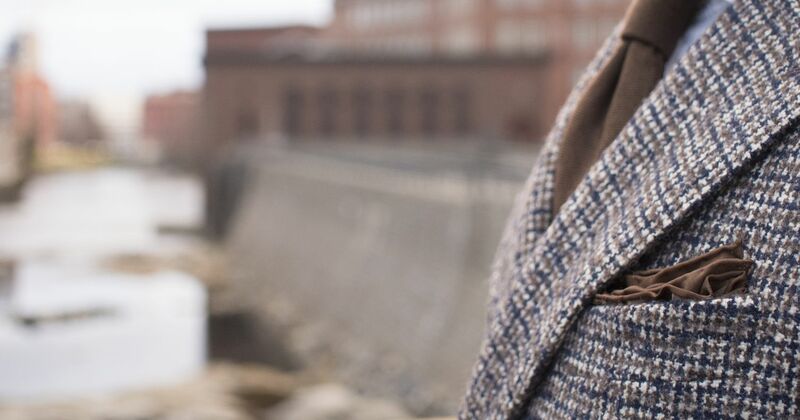 A patterned pocket square can also be used as a plain color pocket square, provided the plain-colored areas on the edges are wide enough. That said, there is a bit of a pocket square folding fail going on here, something I only noticed now looking through the pictures (who cares though, it still looks good despite being a little squashed in).